It is a type of artificial language used to communicate with computer. We know that a computer is an electronic device works on ON and OFF (1 AND 0) Technique to read and write data. We use several languages to communicate with others, just like it, we use several computers to communicate with other computers e.g. BASIC, COBOL, PASCAL, FORTRAN etc. Computer understands only computer language written in binary or simple English followed by special syntax. Computer dependent language written in binary is called Machine code or Machine language. Machine code requires a high level programming skill along with sound knowledge of computer architecture and functions. Instructions written in binary are immediately executable without help of any language translators because computer understands only machine codes. It is written on machine code so no need to translate it into machine language. It has faster execution than other languages. Other translator type subsidiary programs are not required. Assembly language require ASSEMBLER to translate assembly language code into computer understandable code (Machine code). So, it is not immediately executable. It is difficult to develop the program using this immediately executable. It is difficult to develop the program using this language. Not as fast as machine code language in case of execution. High level language contains a set of instructions written in simple English. It is a set of some symbols, words and rules to instruct machine. The language is oriented towards the problem and procedures. Program written in high level language is called source program. A language translator is used to translate into object code (Machine code). The knowledge of computer architectures is not necessary. It requires less time for program coding. Since it is written in user's language so it should be converted into machine code.So it requires a translator. The execution of the program is slower than machine code. The conversion time is slower than assembly language because it is entirely written on human language. It is a high level language in which fewer instruction codes are used to accomplish a particular task. It is non-procedural language. Major 4th generation languages are used to get information from files and databases. These are Database oriented programming language. Software developed using 4GL are user friendly. It is very easy to develop a program because no need to remember the commands and instructions for the program development and we can use drag and drop type command button to develop the program. These buttons are available on the system that helps to develop the program. Program runs slower because it is heavy in size and design. It is required to devote longer time to convert into machine code. Huge sized powerful translators are required to convert. The software is developed by dividing the whole process into multiple stages arranged in cycle called software development cycle. Problem Identification: The first step is the identification of a problem. In this stages, the necessary input, the outline of result is determined. It determines which parts of a system is to be computerized and which are not. We allocate the necessary resources and constraints for software development. System Analysis: After identifying the problem, the next step is to check whether it feasible to implement the system or not i.e. the system is analysed.The resources needed for implementation such as computing equipment, manpower and cost are estimated, based on the specifications of users requirements. These estimates are compared with the available resources. System Design: The next step is to develop the logical design of the system. The input of the system design phases are functional specification of the system and details about the computer configuration. During this phases the logic program is designed, files or database are designed, and program test plans and an implementation plan are drawn up. The system design should begin from the objectives of the system, namely, the information requirement of users, and use this to find the necessary database. System Evaluation and Testing: After the system has been in operation for a reasonable period, it is evaluated and a plan for its improvement is drawn up. A system is tested whether the objectives are satisfied or not. System Modification: Since a computer based system is a piece of software, it can be modified after it is evaluated. Modifications will definitely cost time and money, but users expect modification to be made as the name software itself implies it is soft and hence changeable. ANSI : American National Standard Institute. Low-level language is a language in which some high level words are used with machine codes. Assembly language require ASSEMBLER to translate assembly language code into computer understandable code (Machine code). High level language contains a set of instructions written in simple English. It is a set of some symbols, words and rules to instruct machine. Fourth generation language is a high level language in which fewer instruction codes are used to accomplish a particular task. It is non-procedural language. What is computer-programming language? List its types. A programming language is an artificial language that is understood by computer, which is used to write a set of instructions. What is low level language? Write its types. 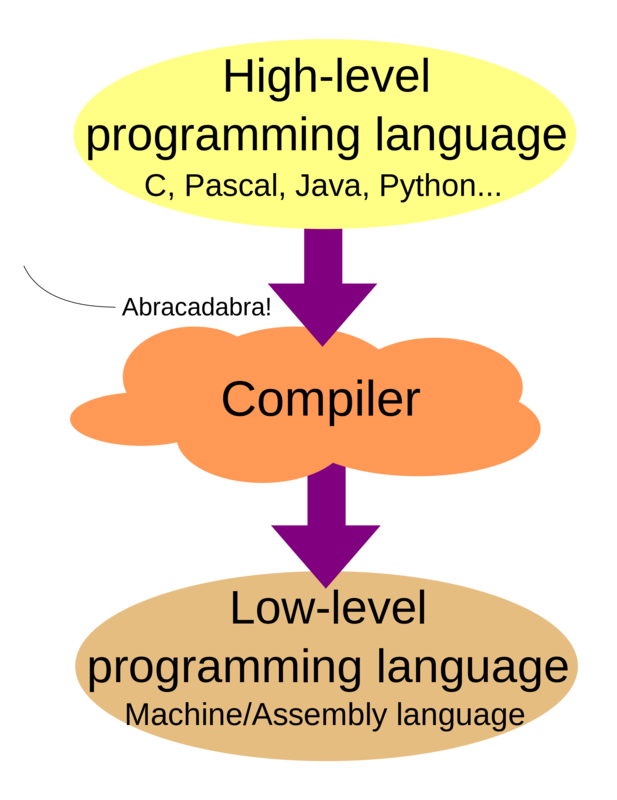 Low level language is machine dependent language which cannot be used in another computer when it is written for one computer. Low level language are of two types. What is machine level language? Machine level language is first generation language, which uses binary codes i.e. 0 & 1. It is computers native language so translator is not required. Write any two advantages & any two disadvantage of MLL. Language processor is not required. It is difficult to understand since it uses only 0 & 1. It is very tedious task to write program in MLL. What is an assembly language? This is second-generation computer programming language alphanumeric codes instead of 0 & 1. The program of assembly language is needed to be translated by an assembler. Write advantages and disadvantage of assembly language. It is easier than machine level language. It uses mnemonic code so program becomes easier. Programs are not user friendly. High-level language is machine independent problem oriented common language that uses English similar instructions and Mathematical notations for writing instructions. Write the common features of high-level language. It follows set of rules called syntax. It is translated to MLL by using language processor. List any four common high-level programming languages? Which high level words are used with machine codes in low-level language ______. In which language fewer instruction codes are used to accomplish a particular task? FOX PRO is an example of ___________. Which is the machine oriented high level language for GEC 4080 series machies? 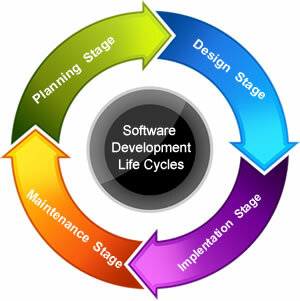 Which of the following is not the software development cycle? Which of the following is first step for software development? Any Questions on 'Computer Language and Software Development Cycle '?